Religious Crafts There are 33 products. Aged picture with foil Madonna with Child in her arms. Medidas.- 17x21 cms. 100% handmade, handmade. Jesus Christ altarpiece column. Medidas.- 34x48 cms. 100% handmade, handmade. Triptych central virgin. Medidas.- 53x63 cms. 100% handmade, handmade. Triptych central virgin. Medidas.- 33x44 cms. 100% handmade, handmade. Aged sheet icon Madonna with child in arms. Medidas.- 32x42 cms. 100% handmade, handmade. 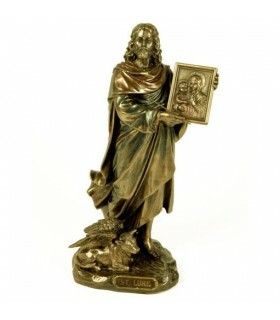 Aged icon picture of Jesus Christ with the Bible. Medidas.- 32x43 cms. 100% handmade, handmade. Triptych central chapel Madonna and child. Medidas.- 58x70 cms. 100% handmade, handmade. Altarpiece of the Virgin column. Medidas.- 42x70 cms. 100% handmade, handmade. Altarpiece of the Virgin column. Medidas.- 34x46,5 cms. 100% handmade, handmade. Aged sheet icon Madonna with child in arms. Marco in oxidized silver. Medidas.- 32x43 cms. 100% handmade, handmade. Triptych central virgin. Medidas.- 23x25 cms. 100% handmade, handmade. Triptych central virgin. Medidas.- 14x21 cms. 100% handmade, handmade. Triptych central virgin. Medidas.- 48x48 cms. 100% handmade, handmade. Triptych central virgin. Medidas.- 44x48 cms. 100% handmade, handmade. Triptych central virgin with child in her arms. Medidas.- 56x44,5 cms. 100% handmade, handmade. Aged sheet icon Madonna and cartoons around. Medidas.- 33x50 cms. 100% handmade, handmade. Altarpiece of the Crucifixion of Christ in the Cruz.- 34x49 cms. 100% handmade, handmade. Aged sheet icon Madonna with child in arms. Medidas.- 30x54 cms. 100% handmade, handmade. Figure of San Antonio de Padua made of resin. Measures:Span>8.5 x 7 x 20 cm. 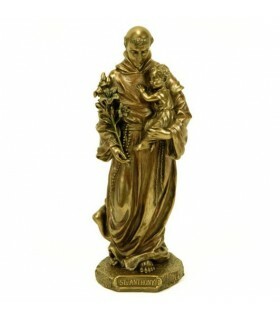 St. Anthony of Padua was a priest of the Franciscan Order, a Portuguese preacher and theologian, venerated as a saint and doctor of the Church by Catholicism. 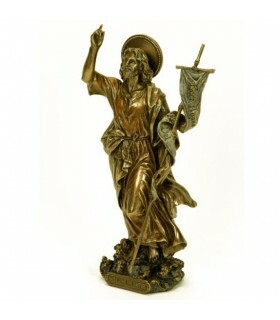 Figure of San Francisco de Asís made in resin. Measures: 12 x 9 x 22 cm. 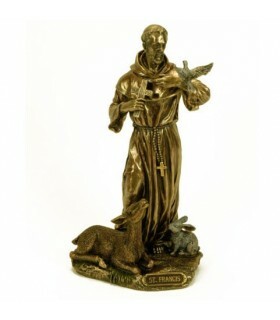 St. Francis of Assisi was an Italian saint, the founder of the Franciscan Order, the order of the Poor Clares and a third known as the third secular order, all of which emerged under the authority of the Catholic Church in the Middle Ages. 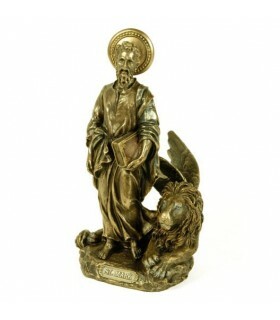 Figure of Saint Paul Apostol made in resin. Measures: 9 x 7 x 19 cm. 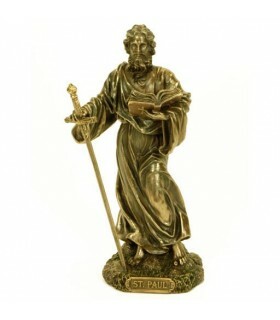 Paul of Tarsus also called St. Paul is known as the Apostle of the Gentiles, the Apostle of the Nations, or simply the Apostle, and constitutes one of the leading personalities of early Christianity. 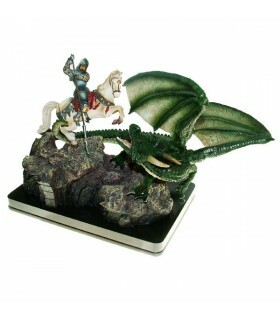 Figure of polyresin which represents St. George on horseback killing the Dragon. 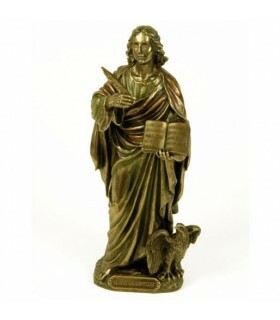 It is a figure that is characterized by its attention to the small details. 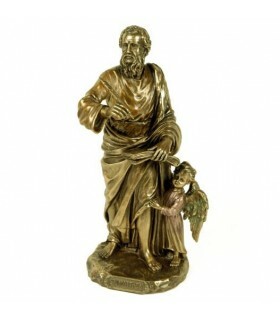 It is a product of the collection 'The Legend' of the house Acacia Giuseppe.